RENO, Nev. – Shaheen Beauchamp Builders LLC claimed two Summit Awards at the 12th Annual Summit Awards Kentucky Derby Run for the Roses themed event held at Rancharrah in Reno Saturday, May 6. The company received the 2016 Top Industrial Development Award for the renovation of Carson City’s largest employer, ClickBond, Inc.’s, Building 51. Originally serving as the company’s original manufacturing shop, Building 51’s renovation included a unique ground source high efficiency heating and cooling system, Carson City’s first non-geothermal ground source system, designed especially for use of available groundwater on Click Bond’s campus. Shaheen Beauchamp also captured the 2016 Public Use Project of the Year for the construction of the William N. Pennington Teen Center on the campus of the Boys & Girls Clubs of Western Nevada in Carson City. Shaheen said the 6,500-square foot center replaced the Club’s previous Teen Center space of less than 600 square feet, enabling the organization to serve a greater number of teens. Membership doubled in the month following the Center’s grand opening and has more than doubled since. The Summit Awards are sponsored by the Nevada Builders Alliance, the Northern Nevada chapters of Certified Commercial Investment Member Institute, Commercial Real Estate Women, NAIOP, the Commercial Real Estate Development Association and SJS Commercial Real Estate. Photo Cutline: Shaheen Beauchamp Builders LLC received the 2016 Top Industrial Project for the renovation of Carson City’s largest employer, Click Bond Inc.’s, Building 51. 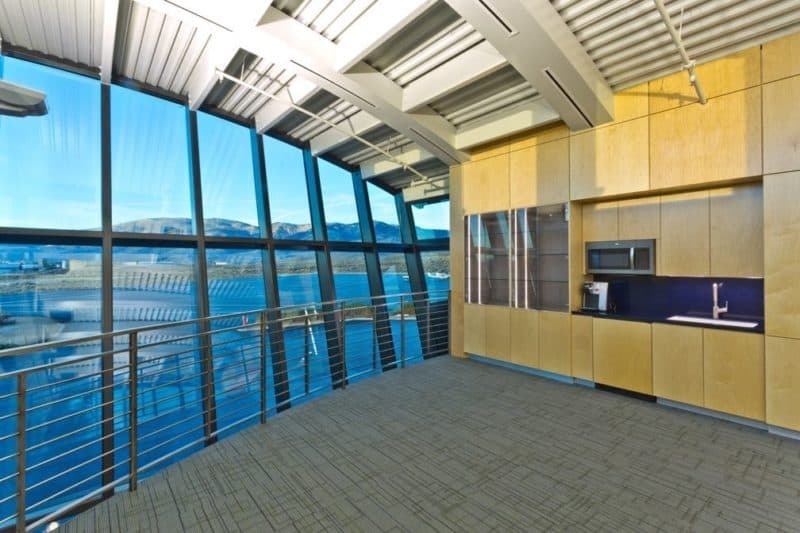 Specially designed ducting was built into the arching support beams in the conference space, reflecting the sleek interior of an aircraft to support the building’s HVAC system, Carson City’s first ground source, non-geothermal system. Photo Cutline: Construction of the William N. Pennington Teen Center at the Boys & Girls Clubs of Western Nevada earned Shaheen Beauchamp Builders LLC the 2016 Public Use Project of the Year award at the 12th Annual Summit Awards on Saturday, May 6. About Shaheen Beauchamp Builders, LLC: Shaheen Beauchamp Builders, LLC, a commercial general contracting firm founded in 1998 by Jeff Shaheen and Mark Beauchamp, has built over 2 million square feet of industrial, office and retail space throughout Northern Nevada. Located in Carson City, NV, Shaheen Beauchamp Builders offers renovation, remodeling and new construction services and prides itself on astute attention to detail and customer satisfaction. Notable projects of the company include Shaheen Business Park, St. Teresa of Avila Church, City National Bank, Summit Sierra Building 100A and 100B, Carson City Harley Davidson, Skin Cancer and Dermatology Institute, Minden Village, Battle Mountain Hospital, Carson Urologists, the Fernley Nugget Casino and 777 Center in Midtown Reno. For more information, visit www.sbbuilders.com or call (775) 885-2294.